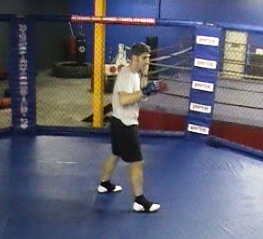 My gym has a pro boxing coach, and I was watching the other day as he held focus mitts and trained a fighter. I was also recently at a martial arts school and watched a Tae Kwon Do instructor hold focus paddles for a student as she did various kicks. I was compelled to ask myself, do focus pads help you or hinder you? Clearly you train with pads, mitts and bags to improve accuracy and timing. When your opponent presents a target to you by moving and/or striking, accuracy and timing help you to react with the correct technique at the right time to the right place. If a boxing trainer presents the focus mitt by only staying stationary and holding it up, that is not likely to help you. If the trainer moves and simulates a punch that will actually hit you if you don’t move (for example a Hook that you have to duck and counter), this is better. But, either way, the timing is different from a real opponent because the trainer must retract and/or place the mitt for you to hit it. This is slower than what happens in the course of a real fight and may adversely affect your reaction time. One fix I have seen is to start with the first pad in place and quickly move the second pad into place, but this is still too slow. This brings me to accuracy; Is it helpful to have a person stand in front of you and hold striking pads away from his body for you to hit? Muscle memory is important and is learned from hours of drills and practice. It stands to reason that if you practice hitting a pad held away from a person instead of hitting the person, this may adversely affect your muscle memory and therefore your accuracy in the ring in the long run. It is better to get high quality protective gear and heavier, padded gloves and spend more time with sparring partners so the timing you develop is based on a more realistic opponent. With Tae Kwon Do the same issues are there, but the kicking drills accentuate another bad aspect of using focus pads; the recovery phase. It may look good to have someone hold pads for you as you expertly do two or more kicks (which helps you to be more comfortable with combinations) but what you do after the combo is important. If you land awkwardly or you have to move or step to get into your fighting stance to face your opponent, you are setting up bad habits. If you pause or drop your guard after your combo, you are setting up bad habits. A similar thing happens when a boxing trainer steps away to reset and the fighter drops his guard. I also noticed that some of the drills lure your focus to certain techniques and neglect the Muay Thai and Wrestling techniques (specifically leg kicks and takedowns) that can be done to you during your attack. This may be okay if you are only going to compete in boxing but is not helpful in Mixed Martial Arts. It is better to spend as much time as you can in the most realistic scenario as possible. Do in training what you intend to do in War. This is the first of several installments on stretching for MMA, specifically to improve your kicking ability. If you stretch well enough that head kicks are easy and fast you will also help with many other techniques (i.e. Rubber guard, etc.). The major areas where you have to improve flexibility are calves, hamstrings, glutes, quadriceps, adductors, abductors, hips and low back. I will start with calves because relaxing the tissue in your calf will make it easier to stretch your hamstring. For this stretch, sit on the floor with your legs straight. It is better to sit during a stretch instead of stand because when you sit you are not weight bearing and you will be able to stretch and relax your muscles more easily. Move your non-stretching leg so that your ankle rests above your knee on the stretching leg. This holds your stretching leg in place and keeps it from moving during the stretch. Next, lean your upper body forward. Your tendency will be to back out of the leaned position during the stretch, so pay attention and remain leaned forward. This happens because the human body naturally tries to make things easier. Leaning forward helps you to isolate your calf and get more out of this stretch. Tibialis Anterior is the muscle located in your shin area on the front of your lower leg. Breathe out and use this muscle to activate into the stretch, moving your toes toward your knee (decrease the angle of your foot in relation to your leg). Hold the stretch for about 1 to 2 seconds and release. Move your foot far enough out of the stretch (by pointing your toes) so that you can rest in between stretches. This is also an effective way to use your calf to stretch your Tibialis Anterior. 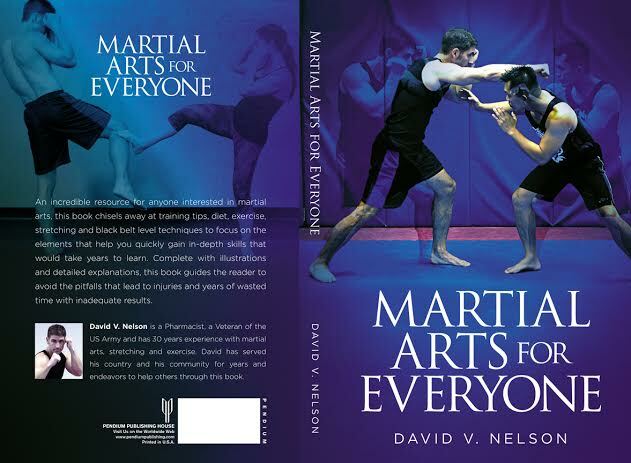 This stretch and a lot more will be covered in my book, Focusing Martial Arts Power, 2nd edition, which I am currently finishing. Thanks and look for Part II, Glute Stretch.